People with a learning disability (or autism and a learning disability) and behaviour that challenges should have the support they need to live how and where they want. Organising and developing services in the right way is the first step to making this happen. Effective commissioning can make a real difference to the lives of people with a learning disability and behaviour that challenges, and to their families and communities. 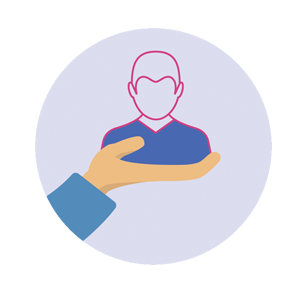 Appointing a lead commissioner and pooling budgets across health, social care and education, and with neighbouring authorities, is a way for local authorities and clinical commissioning groups to oversee joined up services that take a whole life approach. 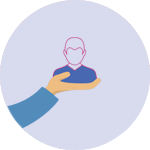 The lead commissioner should have in-depth knowledge and experience of working with people with a learning disability and behaviour that challenges. How many people locally have a learning disability (including those placed out of area), and how many are likely to display behaviour that challenges? An analysis of the needs identified in people's education, health and care plans. Local registers, including those of people at risk of hospital admission, disabled children, and people referred from other teams, for example - youth offending teams and the police. Local and regional plans should have a single care pathway and single point of access, which should be reflected in commissioning strategies. Support person-centred planning and provision. Meet the needs of people of different ages and take a 'whole life' approach. Take into account future housing and employment support needs. Be co-produced with people who use services, families and care providers. Bring together all relevant services and develop a workforce with the right skills, knowledge and qualities. Support people with a full range of needs, including intensive and complex needs. 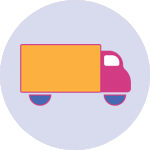 Reduce the need for inpatient care for adults, chidren and young people, or residential placements for children and young people, by providing alternatives within the community wherever possible. 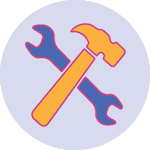 training, information and support for families and carers to enable them to meet the needs of the person, access support from specialist services and explore short break options. 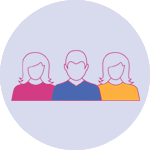 When children, young people and adults need specialist assessment and support for their behaviour, make sure it is provided within NHS waiting time standards. 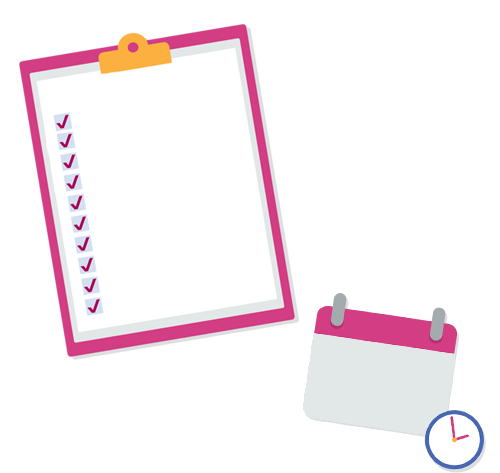 Set local maximum waiting times for initial assessment and for urgent and routine access to treatment and support. Living with a small number of people in shared housing. Moving outside their local area only if they want to, or this is necessary to meet their needs. 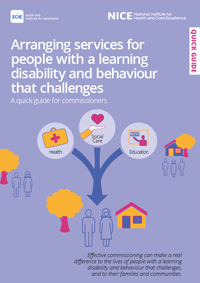 This content has been co-produced by NICE and SCIE and is based on NICE’s guideline on learning disabilities and behaviour that challenges: service design and delivery.